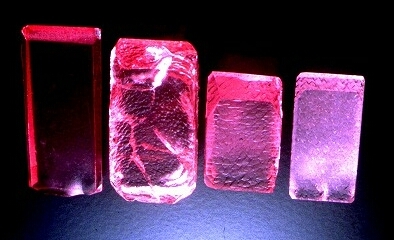 Methods for the hydrothermal synthesis of four new coloured varieties of quartz have been developed. 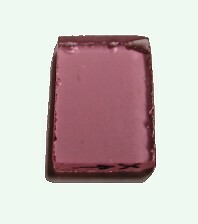 Two of these varieties are very rare in nature. 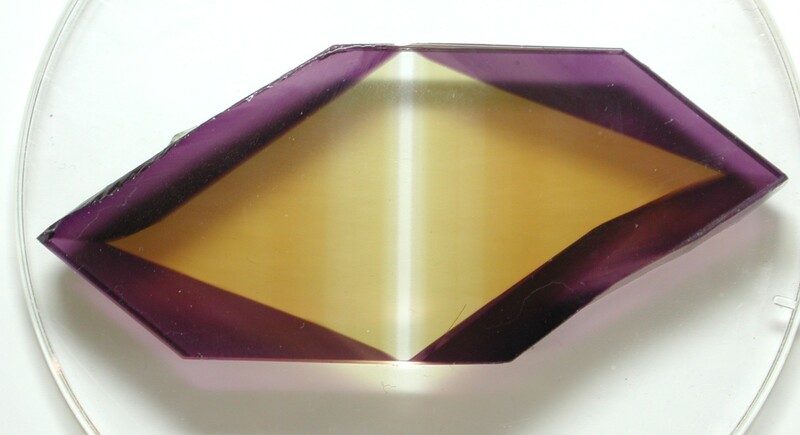 They are a bi-coloured amethyst-citrine (ametrine) and a phosphorous-bearing low-temperature pink quartz. The other two varieties have no natural counter parts. 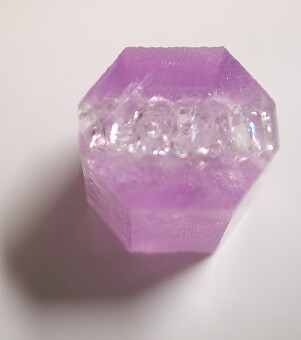 They are a pink-violet Ni-bearing quartz, and a Cu-bearing quartz which resembles aventurine. 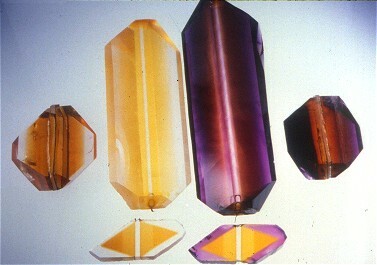 The principal conditions for producing these varieties of quartz single crystals are described. 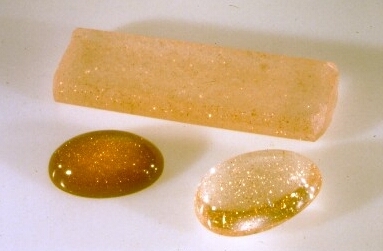 Additional picture of P-containing pink quartz.